Do you love animals — horses in particular? Have you considered a career as a veterinary assistant, stable manager, or horse caretaker? If so, this course sequence teaches you the skills you need to work directly with horses. Whether you’re interested in joining a stable, equestrian center, or veterinary facility that works with large animals, having a fundamental knowledge of horse caretaking and veterinary science is essential. 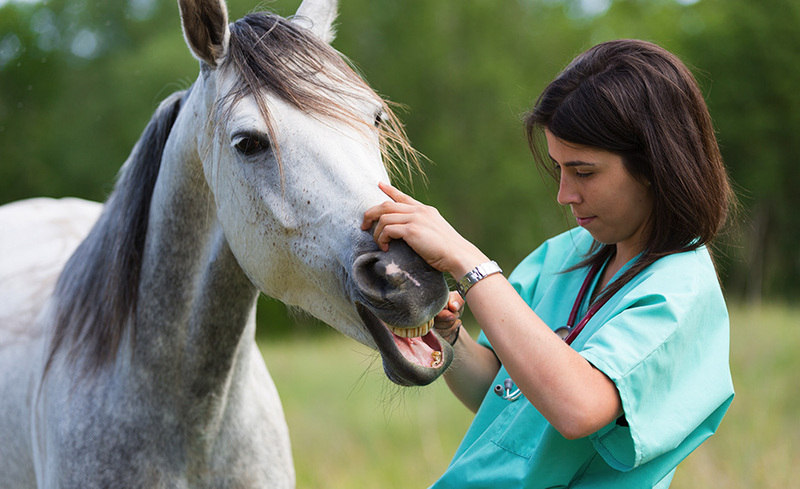 The Veterinary Assistant with Horse Care Management sequence provides a broad overview of horse care topics while teaching the technical skills needed to work as a veterinary assistant. All applications listed above must be installed and fully operational before the course begins. Jeff Grognet has been a companion animal veterinarian for over 25 years. He is a pioneer in the field of veterinary assistant teaching, having developed his first course over 20 years ago. Grognet practices at a veterinary hospital in British Columbia, Canada and written extensively on animal health topics. Meg Anema holds Bachelor of Science degrees in Animal Science and Agricultural Economics from New Mexico State University and a Master of Science degree in Equine Reproductive Physiology from Colorado State University. Anema, a certified Career and Technical Education instructor, has taught courses in Equine Science, Animal Science, and Veterinary Science for over 10 years. She grew up training horses and has years of experience as a breeding farm manager, equine A.I. technician, and equine events coordinator. All of our courses are self-paced and open enrollment, so you can start them when you want and finish them at your own pace. When you register, you’ll receive eighteen (18) months to complete the course. Upon completion of this course you will receive a certificate in Horse Care Management and Veterinary Assistant.